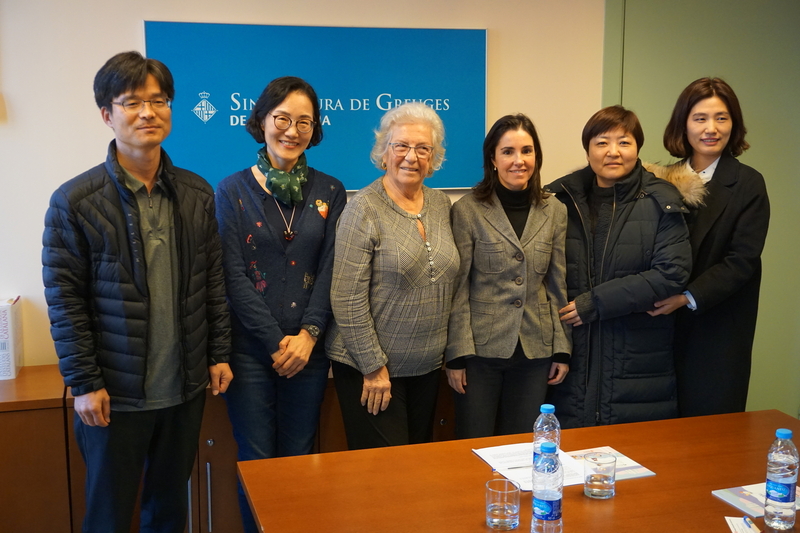 A delegation of ten representatives of the Gwangju Metropolitan Government and the Gwangju International Center visited Barcelona on December 10, 11, 12 and 13, 2018. The purpose of this delegation was threefold: to attend the International Conference "Cities for Rights" organized by the City Council of Barcelona and the local government workshop organized by the Committee (you can find more information about the Conference here and about the Workshop here); to better understand the public policies on human rights implemented by the capital of Catalonia; and to reinforce Gwangju's commitment towards our Committee as one of its fours co-presidents (alongside Plaine Commune, Seine-Saint-Denis and Mexico City). Therefore, Gwangju representatives could actively participate in the definition of the Committee’s action plan for 2019. 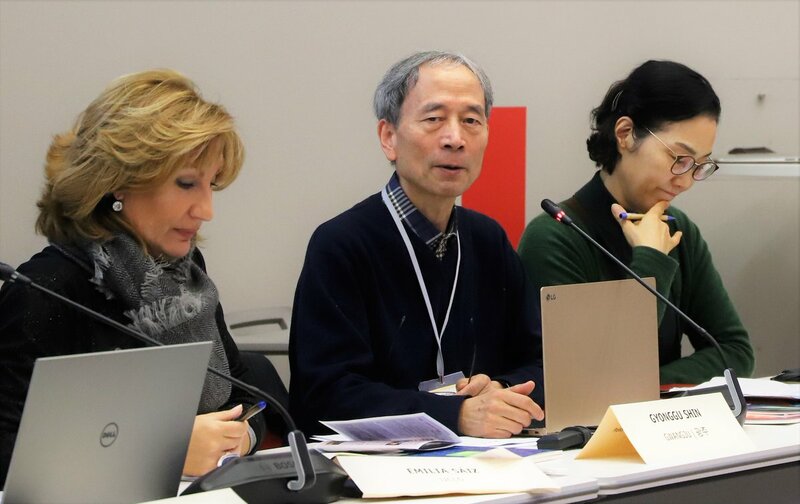 On the occasion of the European Workshop of Local Governments for Human Rights organized by the Committee on December 11, the Gwangju Delegation shared with his European counterparts the experience of Asian cities in defending human rights. The Gwangju Delegation also took this opportunity to invite local and regional representatives to participate in the next World Human Rights Cities Forum, which will take place in Gwangju in the second half of 2019. The “Cities for Rights” Conference organized by Barcelona as part of the commemoration of the seventieth anniversary of the Universal Declaration of Human Rights and the twentieth anniversary of the European Charter of Human Rights in the city, was also an opportunity for Gwangju to present its local human rights initiatives. 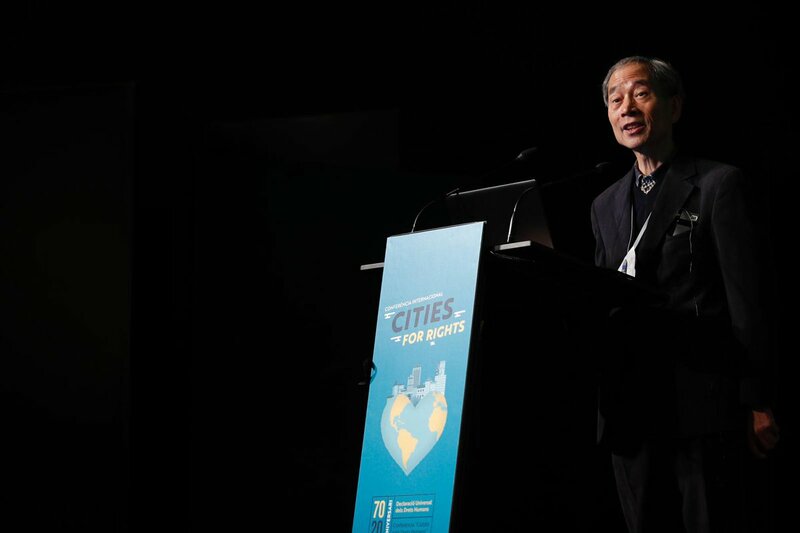 At the Conference, the City representative and Executive Director of the Gwangju International Centre, Mr. Gyonggyu Shin, highlighted those three challenges cities face today in order to better defend human rights: “integrating human rights into municipal projects, ensuring quality work and access to housing and mobilize young people to assume their role in the constant struggle to protect human rights”. 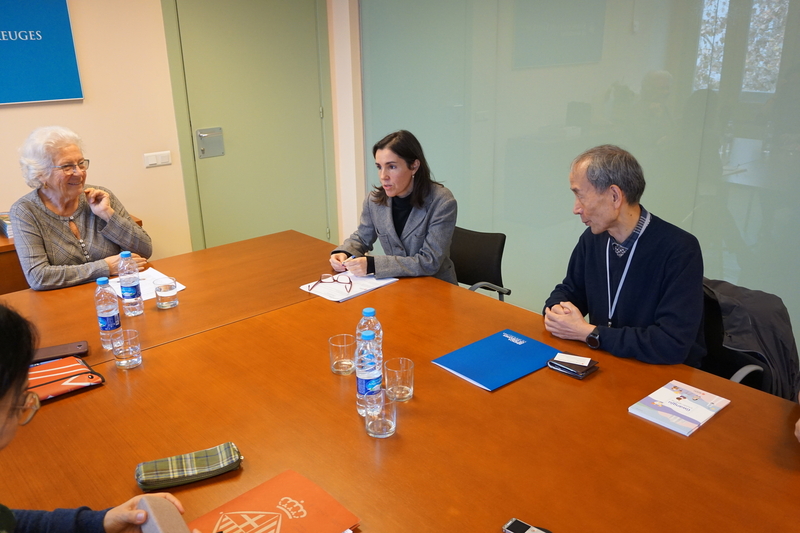 Throughout December 12, the Gwangju Delegation held several bilateral meetings with representatives of the city of Barcelona after the invitation of Aida Guillén, Directress of the Department of Citizenship Rights and Diversity. 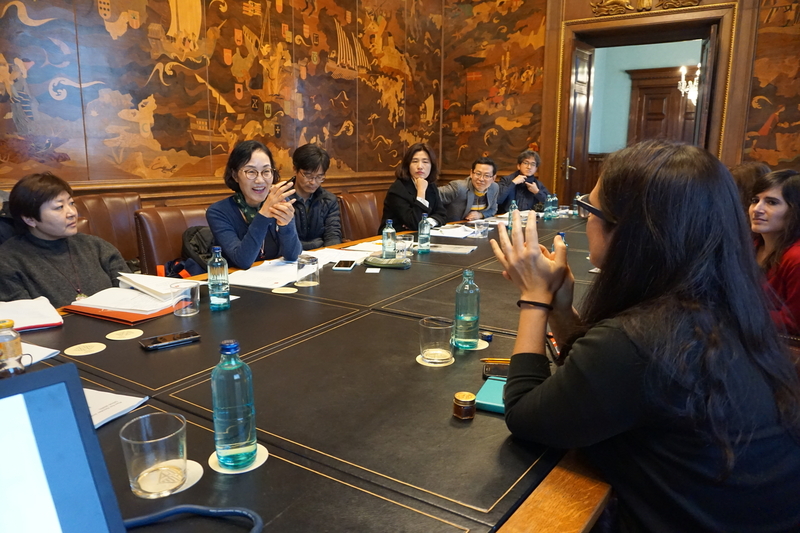 During these meetings, the South Korean delegation was able to visit the Casa de la Ciutat (headquarters of the municipal government of Barcelona since the Middle Ages) and meet with representatives of local human rights initiatives, in particular those to defend feminism and LGBTI communities. 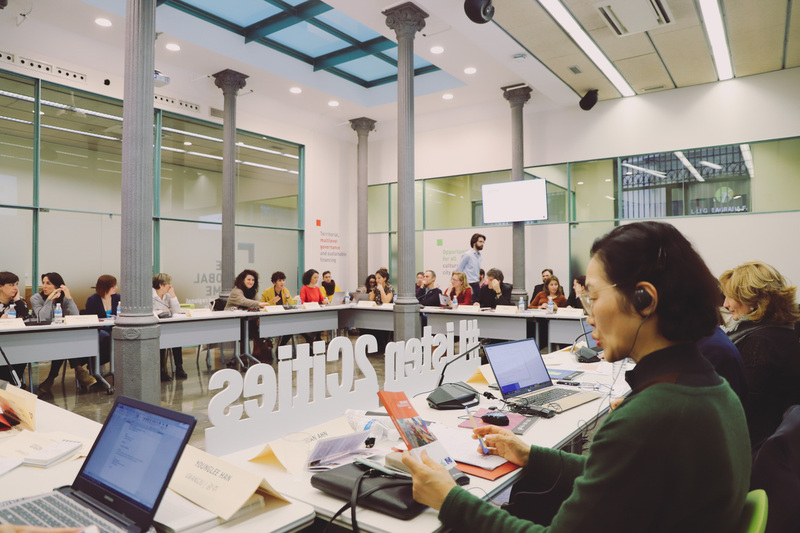 Among presented initiatives, Gwangju delegates could meet Barcelona’s policies against gender-based violence, to promote women's political representation and to foster a “care economy”. 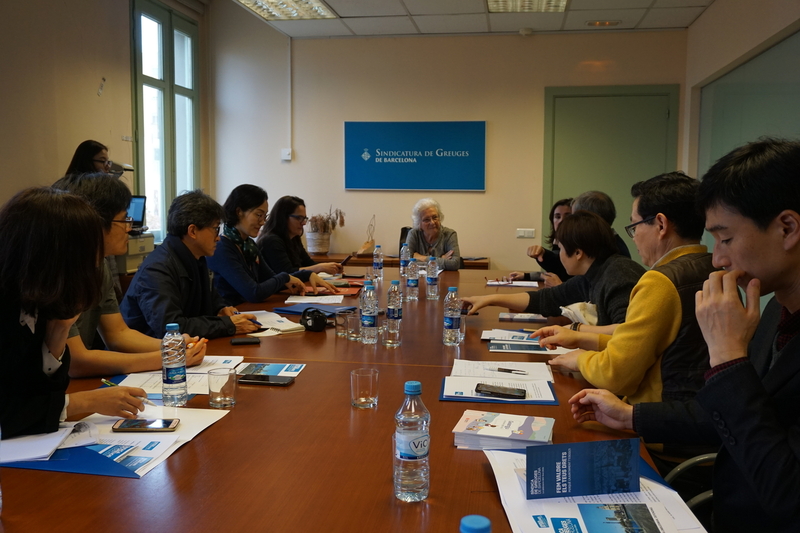 The Gwangju Delegation then travelled to the headquarters of Barcelona's Síndica de Greuges (local ombudsperson), where an interesting exchange took place between the four Gwangju ombudsperson (working in areas such as right to work or gender equality) and Barcelona’s Síndica de Greuges. Despite some format or thematic differences, the meeting highlighted the importance of counting with mechanisms such as this one in order to improve human rights guarantee, while allowing to draw lessons from similar experiences. Lastly, the Gwangju delegation enjoyed a fruitful meeting with the Executive Secretariat of the Committee on December 13. On this occasion, various representatives of the Metropolitan Government of Gwangju and the Gwangju International Center were able to exchange points of view and priorities with the Executive Secretariat. They thus begun preparations for the next WHRCF, discussed the latest developments in the framework of the UN human rights system, and explored options to help increase the visibility of the Committee in Asia. 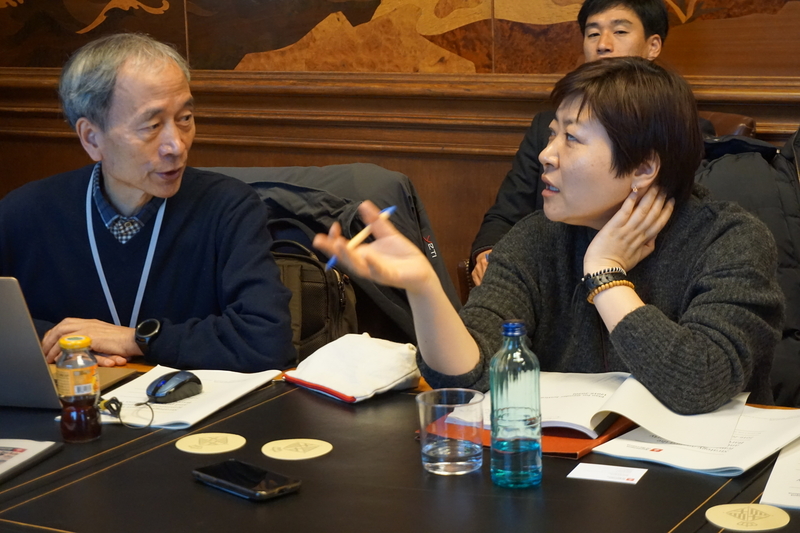 Gwangju’s delegation could also take advantage of its presence in UCLG’s headquarters in order to meet with different representatives of the UCLG Secretariat after the facilitation of the Committee’s Secretariat. This helped Gwangju representatives to better understand the work of the global network of local and regional governments. 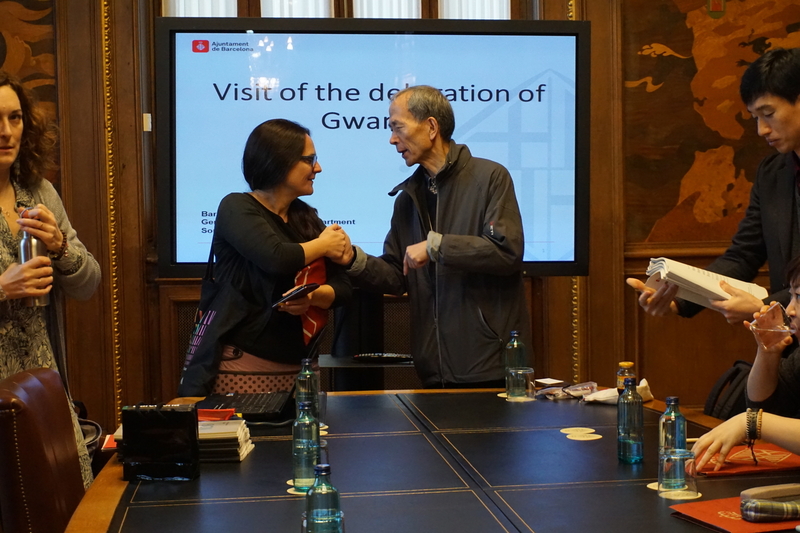 The delegation was therefore able to meet members of the GOLD Observatory and UCLG Learning team, the International Observatory of Participatory Democracy, the Culture Committee and the International Association of Educating Cities, as well as of the Global Platform for the Right to the City (as partner).